Whether you’re familiar with Norman or traveling here for the first time, one truth unites everyone – you gotta eat. 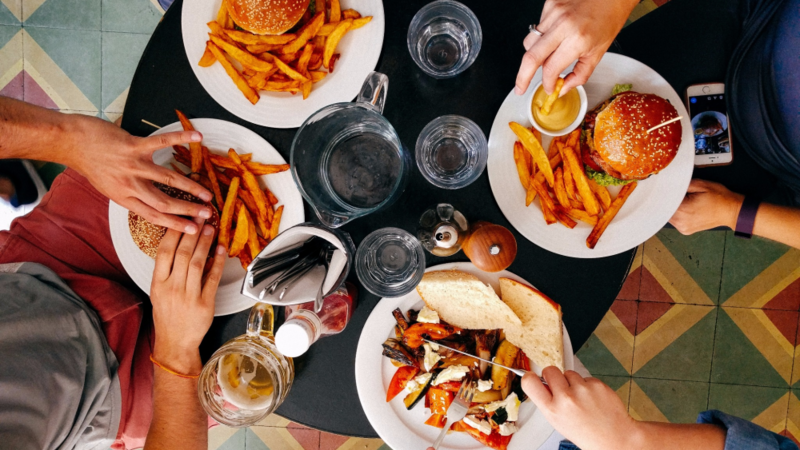 But what are the best restaurants in Norman? Where should be your can’t-miss stop of your time in town? A place that is packed at lunch time is Ray’s Smokehouse BBQ. And shouldn’t that tell you all you need to know? Locals and tourists alike are drawn to the BBQ joint. In a highly competitive market where people are pretty picky about their brand of BBQ, you’ll definitely want to check out Ray’s and definitely indulge in some of their sides. 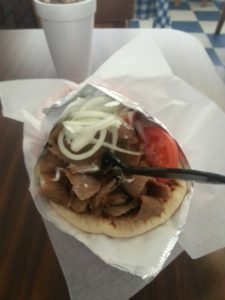 A game day staple, Greek House has long been one of the best restaurants in Norman, OK. As many reviews state it is nothing fancy when it comes to appearance, but the delicious Greek food will have you coming back time and again. Expect to find a line at lunch time and a large portion of the day on game days. But that just shows you how good this food is – definitely worth waiting for! Note – Greek House is closed Sunday and Monday. 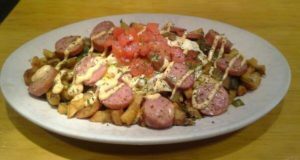 Located inside of the Riverwind Casino, you’ll find Chips ‘N Ale, a traditional English pub where you’ll find your food battered to perfection. Favorites include the Chicken Pot Pie and the Codfather. If you’re looking for ridiculously fast service and incredibly delicious food, then you’ll definitely want to check out Tarahumara’s Mexican Cafe – one of the best restaurants in Norman. Even during peak meal times, service is fast and friendly. Another local chain, The Garage set out to offer the best burgers and fresh-cut fries. Gourmet combos and craft beers will leave you satisfied – and wanting more! A Norman staple for over 40 years, Legend’s is a legend in the best restaurants in Norman, OK. Casually upscale family dining is just the tip of the dining iceberg at Legend’s. Image Courtesy of Legend’s Facebook Page. 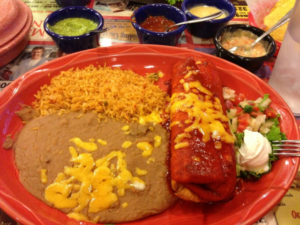 Specializing in breakfast and lunch, Juan Del Fuego Mexican Diner has delicious Mexican favorites. Heuvos Rancheros or Eggs and Tamales, coming right up! And if the difficulty getting seating on a Saturday is any indication, this is definitely one of the best restaurants in Norman, OK! Offering German pub fare, Das Boot Camp is wunderbar! From homemade sauerkraut to delicious craft beers, your hankering for all things German will be met at Das Boot Camp. 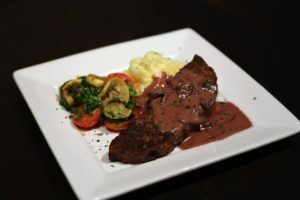 Benvenuti’s is a Norman favorite – especially for the romantic night out scene. The menu is amazing and the atmosphere is fantastic! If you’re looking for a restaurant that’s true to its name, Scratch is the place you’ve been looking for. Every item on the kitchen and cocktail menu are made from scratch. If you’re looking for a finely tuned menu, you’ll love Fancy That. Guests love the ambiance and the tasty creations at Fancy That. 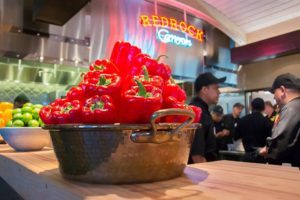 Located on Legacy Park, you’ll find the newest Redrock Canyon Grill. With meatloaf better than your mama’s, you’ll want to brave the lines for a taste. 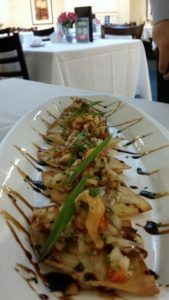 And while you’re enjoying the best restaurants in Norman, OK, we invite you to try one of the best hotels in Norman – the Montford Inn and Cottages. We’d love to treat you to a gourmet breakfast and show you the difference between a hotel and a bed and breakfast in Norman.